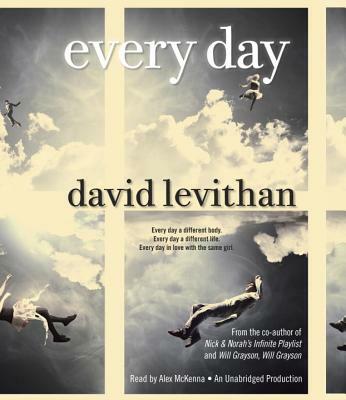 In his New York Times bestselling novel, David Levithan introduces readers to what Entertainment Weekly calls a "wise, wildly unique" love story about A, a teen who wakes up every morning in a different body, living a different life. With his new novel, David Levithan, bestselling co-author of Will Grayson, Will Grayson, and Nick and Norah's Infinite Playlist, has pushed himself to new creative heights. He has written a captivating story that will fascinate listeners as they begin to comprehend the complexities of life and love in A’s world, as A and Rhiannon seek to discover if you can truly love someone who is destined to change every day. DAVID LEVITHAN is a children's book editor in New York City, and the author of several books for young adults, including Nick & Norah's Infinite Playlist and Dash & Lily's Book of Dares (co-authored with Rachel Cohn); Will Grayson, Will Grayson (co-authored with John Green); and Every You, Every Me (with photographs from Jonathan Farmer). He lives in Hoboken, New Jersey. "Rich in wisdom and wit...Levithan keeps the pages turning not only with ingenious twists on his central conceit but with A's hard-earned pieces of wisdom about identity, isolation, and love. Every Day has the power to teach a bully empathy by answering an essential question: What's it like to be you and not me — even if it's just for one day?" "It demonstrates Levithan's talent for empathy, which is paired in the best parts of the book with a persuasive optimism about the odds for happiness and for true love." "It's the rare book that challenges gender presumptions in a way that's as entertaining as it is unexpected and, perhaps most important, that's relatable to teens who may not think they need sensitivity training when it comes to sexual orientation and the nature of true love. ‘Every Day' is precisely such a book...A story that is always alluring, oftentimes humorous and much like love itself — splendorous." "Thoughtful and fascinating...A study in the most real and human of concerns: the importance of empathy, the value of friends and family, and the beauty of permanence that we have the luxury of taking for granted." "Ambitious and provocative...we’re not ready to let A go." "One of the most inventive young adult novels of the year." "Levithan is a literary genius. His style of writing is brilliant — practically flawless... Reading A’s journey to make love last, in a world that is always changing, is an experience I hope everyone gets to share." “Levithan has created an irresistible premise that is sure to captivate readers…. "Levithan's unusual love story will make teens think about how the core of the soul never changes. A speaks of faith, love, dreams and death with a wisdom derived from thousands of lives visited over 16 years and firsthand proof of how much humans share rather than what sets them apart." "This unconventional romance considers some fascinating and unexpected questions about the nature of identity, consciousness, love, and gender...Readers will identify with A’s profound longing for connection, but they’ll also be intrigued by the butterfly effect A’s presence may have on numerous other teens who make brief but memorable appearances." "Brilliantly conceived...[Levithan] shapes the narrative into a profound exploration of what it means to love someone." "The premise allows for stimulating parallels: A’s experience is both like the writer’s, who inhabits the consciousnesses of random characters, and the adolescent’s, who tries on myriad identities."